In the fall of 1968, the creation of the resort city of Cancun was nothing but a gleam in the eye of a young Mexican banker named Enrique Savignac. The young banker and a small group of optimists searched every inch of the exotic Mexican coastline in search of the ideal spot to built their vacation paradise. 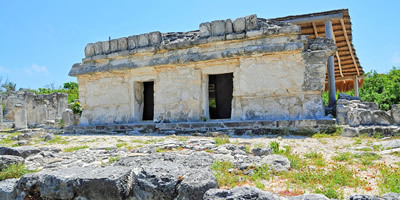 The lost civilization of Quintana Roo was nominated the future location where the young banker's dream would soon become a reality. This thin sandy strip of land was basically molded and shaped by hand to create 15 miles of modern five star hotels along the white sandy shore that have been enticing the world ever since. 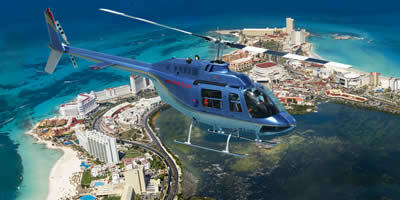 Cancun has grown to be one of the most renowned resorts in the world. 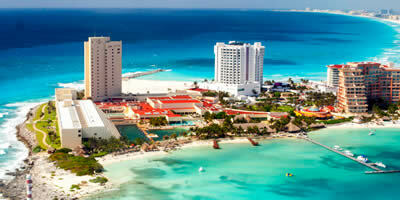 The beaches are the main attraction in Cancun with its soft white sand and bright turquoise water. The Hotel Zone is actually a long beach. 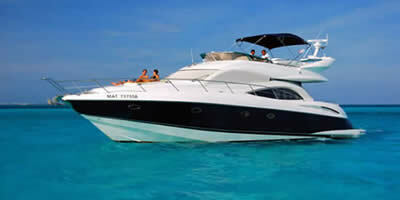 Punta Cancun is located in the commercial heart of the hotel zone It is in this place where the islets whose use is exclusively for scientific research. 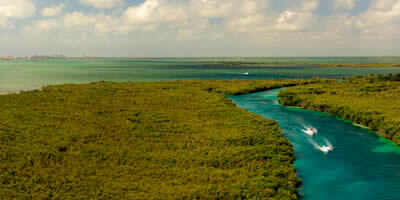 Nichupte Lagoon is one of the best examples of natural paradise, as it represents a large area of natural reserve for the mangrove ecosystem. 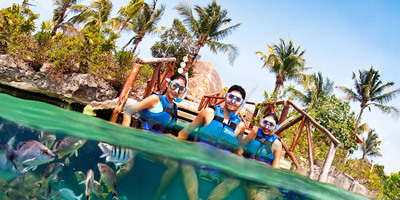 Punta Nizuc is a popular beach and a marine park in the hotel zone of Cancun on the Yucatan Peninsula in the state of Quintana Roo. 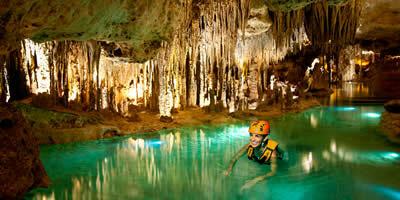 It is located in the southern portion of the former Cancun Island. 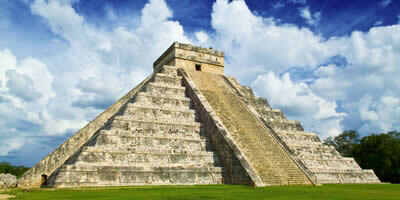 Is called "The King" by a sculpture that was discovered characterized by an elaborate headdress . 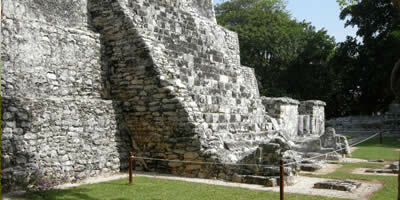 There is a Maya site north of Cancun, Quintana Roo little known. 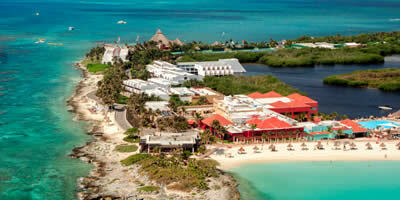 You can access the old road to Punta Sam or the new road between Benito Juarez and Isla Mujeres. 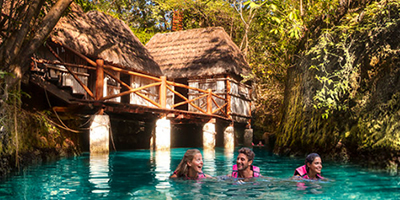 This is a package that will allow you to swim for the various cenotes of the Riviera Maya, including extreme activities like zip lining in Ik Kil cenote. This tour provides an opportunity to recreate one of the best places in Mexico, Xochimilco, you can feel like you are there, crossing canals, accompanied live mariachi.